Karen Oosthuizen has over 15 years of experience in Company Secretarial Services. 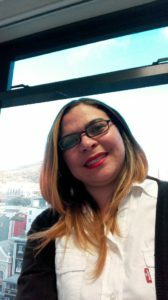 She has been with SA Company Formations since 2002 and worked previously at one of the top Auditing firms in Stellenbosch. Karen managers the daily running of the business and also assists clients with matters relating to company registrations, amendments, BEE Affidavits, Tax Clearance Certificates, Conversions from CC’s to PTY’s, Non-Profit Companies, registration of Personal Liability Companies, adoption of new MOI’s and all matters related to the Companies Act. 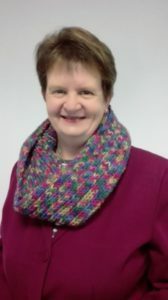 Hayley Roman has over 10 years of experience in Company Secretarial Services. She has been with SA Company Formations since 2012. Hayley attends to clients wanting to register their companies or any amendments thereto. Hannah, her daughter of 3 keeps her very busy and enjoys the time spent together. Very meticulous and eager to keep our clients happy. 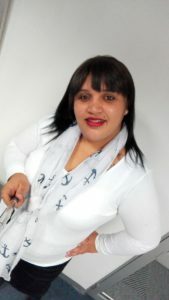 Arlene Fortuin has over 8 years of experience in Company Secretarial Services. She has been with SA Company Formations since 2013. Arlene attends to clients wanting to register their companies or any amendments thereto. She has an 8 year old son, Logan and enjoys the outdoors and spending time with her son and family. Very efficient and always a friendly smile to greet the clients.